I just finished Assassin’s Creed II, which was released quite a while ago (2009), with two sequels AC: Brotherhood and very recently AC: Revelations) already available. So never let it be said I’m not a year or two behind the ball. But at least this means you can pick up the ‘Game of the Year’ edition of it, which includes all the downloadable content, for next to nothing. Here goes. I like games I can dive into, with a high level of immersion. This is a tricky thing when it comes to gaming. 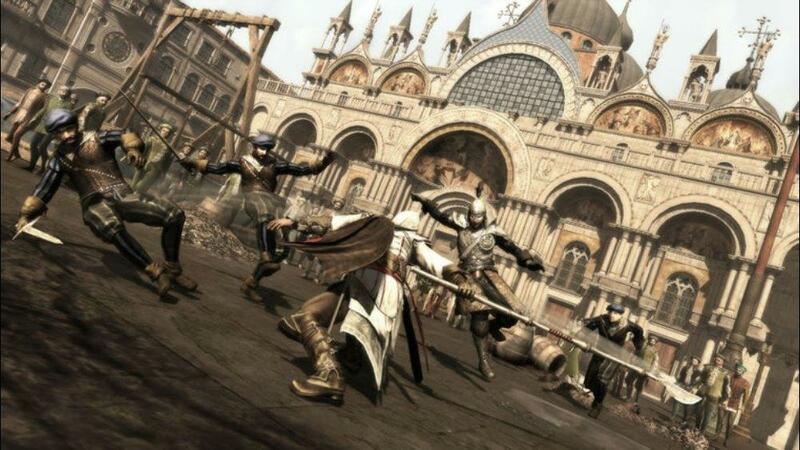 Generally it is helped by games keeping their mechanics out of sight as much as possible and just letting you go about your business as – say – an assassin in 15th century Italy. But the more complex a game wants to be, the more it will need to get a little abstract, explaining how it needs to be played and giving the necessary information at the right moments without throwing the player out of the game too much. The Assassin’s Creed franchise cleverly solves this conundrum by creating an extra level of reality within the game world: Desmond is a current-day descendant of a long line of assassins and through the help of a machine which can read *cough* ‘genetic memories,’ he relives key events from the lives of his ancestors. This enables him to learn secrets of the past and gain the skills of those who came before him, to fight an evil organization in the here and now. However, you spend relatively little time as Desmond and are mostly running stealthily along the rooftops and streets of the Florence and Venice of yore as assassin Ezio, offing people who are taking part in an evil conspiracy. Because you are seeing things through the eyes of Desmond – who is in turn linked to a computer interface – the little map pointing out objectives, the health bar, the shimmering boundaries to the area you are confined to and the special mode of vision which points out your intended victim as well as guards in the middle of a crowd all make some sense within the story. (Even if the gimmick of ‘genetic memory’ in itself makes you giggle like a maniac and the little map-circle on the main screen looks distractingly like it was copied straight out of GTA IV.) Additionally, you can opt to turn off these little helpers if they bother you. 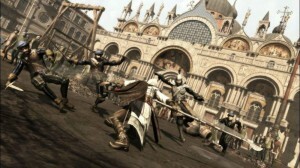 The atmospheric music and great visuals which lovingly create various old cities, manage to draw you in and successfully make you feel like you are running around on a clear day subtly slaughtering villains as well as truckloads of anonymous guards, no doubt orphaning many unseen, blameless children. That’s not to say the game is averse to reality-bending silliness. A few examples: as you are seen murdering people, your infamy grows and guards will attack you on sight. 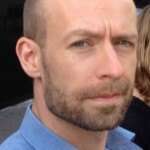 You can greatly reduce your bad reputation by ripping a few ‘wanted’ poster off walls. Not too farfetched so far. Except these posters tend to be a bit hidden because this ups the challenge of finding them for the player. Which – of course – means people wouldn’t actually see them and be influenced by them. And when you manage to slip your blade into a conspirator, time slows down while you have a short heart-to-heart with them as they breathe their last, any nearby guards apparently respecting your right to privacy during this intimate moment, only jumping you once the cut-scene is over. (I also encountered one such death scene after which all the nearby guards had mysteriously evaporated, though I suspect that was a glitch in the game.) The guards in general are a terribly dimwitted bunch, with bad hearing, memory and eyesight – forgetting who you are after losing track of you for a moment and not hearing or seeing you as you eliminate a shouting colleague on a nearby roof, while clearly in their sights. Also not the best of friends with believability are the little glowing chests with money left lying around everywhere. Assassin’s Creed in particular can’t be blamed for this phenomenon however, as it’s a gaming cliché: resources which would have obvious value to a lot of people just lying around for the taking, be it currency, equipment or health packs. ACII at least limits the free giveaways to money; the other stuff you have to buy from vendors or pick-pocket from your victims. Pick-pocketing can also get you some cash, but it is far more time-consuming and the amounts you get are much smaller than those you get from looking for treasure in unlikely places, so it is hardly worth it. You can also choose to renovate a small town bit by bit, reinvesting what you start to earn by doing so, until more money is constantly pouring in than you will know what to do with. ACII being a so-called ‘sandbox’ game, you have a fair amount of freedom to do what you please, when you please, apart from ultimately taking on the missions which advance the story. 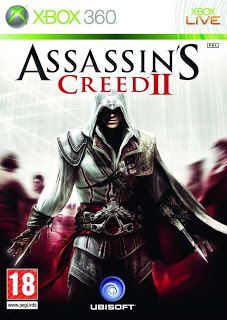 I have to admit I mostly ignored the optional assassination contracts, races and fights as there is plenty of that woven into the main narrative and I was aware that there are two more mostly similar AC games following this one, which would allow me to have my fill. I also mostly ignored the distractingly glowing feathers scattered about to collect: apart from it getting you an ‘achievement’ I couldn’t see how hunting them all down would serve as anything but a waste of time. I enjoyed finding the highest viewpoints, which open up the maps of the various cities and give a good vista. Thirty ‘codex pages’ add up to a giant puzzle and are fun to hunt down and some buildings contain hidden symbols which unlock a short (and ultimately silly) video called ‘the truth’ by way of thematically vague and somewhat obtuse brainteasers. 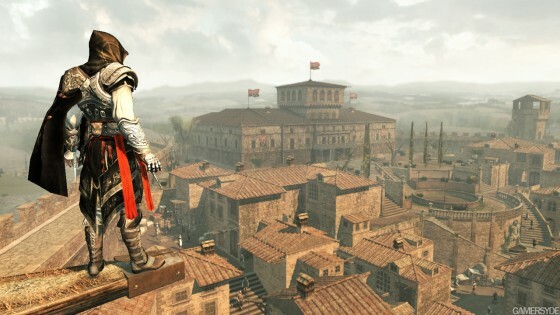 By trekking through various dungeons, you can unlock the powerful threads of Altair, the anti-hero of the first AC game. The main story missions are fun and just about varied enough, even though the basic activities of killing, platforming and collecting started to feel a bit repetitive near the end, making me wonder if I’ll get bored playing the sequels. The details of the conspiracy – the names and the ways in which they were connected – didn’t really stick with me. Though that meant I didn’t always understand why exactly I was eliminating someone and even though I generally feel bad about doing morally dubious things even in a game, I had no problem going ‘dark’ this time, since that was the entire point. I even offed a pushy minstrel or two, only partly by accident. The various ways you can approach a kill – hire a group to fight with you, hire ladies to distract guards, attack from above, blend in with a crowd as you approach your target – keep things interesting. Oh, and you get to hang around with Leonardo DaVinci, easily the most personable character in the game. Machiavelli puts in an appearance too. I can recommend ACII as a fun, pretty easy and atmospheric game that mostly allows you to set your own pace. I enjoyed the platforming aspect more than the fighting, despite the occasional tendency to put a timer on you, which can be frustrating given the sometimes willful camera and context-sensitive controls. But no matter where your preference lies, ACII is worth your time. Quick word of warning though: the climax of the story is actually a somewhat silly cliffhanger, serving as a hook to get you playing the sequel. 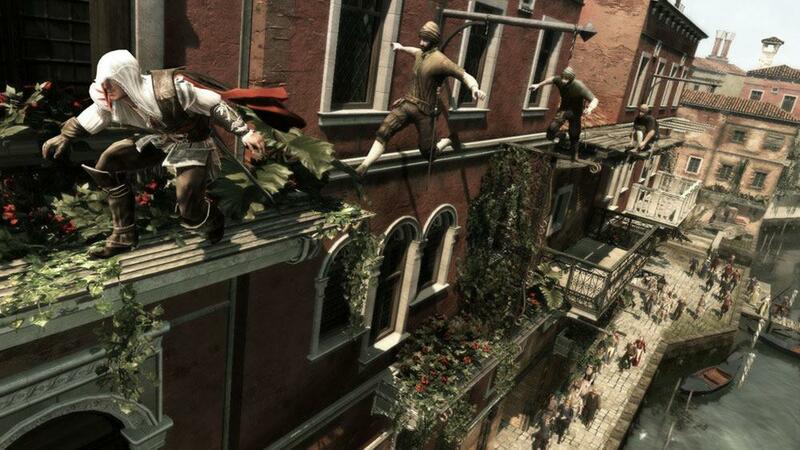 Not so much because of this as because of the gameplay, I’ll definitely rejoin Ezio in Rome for AC: Brotherhood sometime soon.